Saturday 28 July had to be one of those memorable moments that I will keep with me for quite some time. 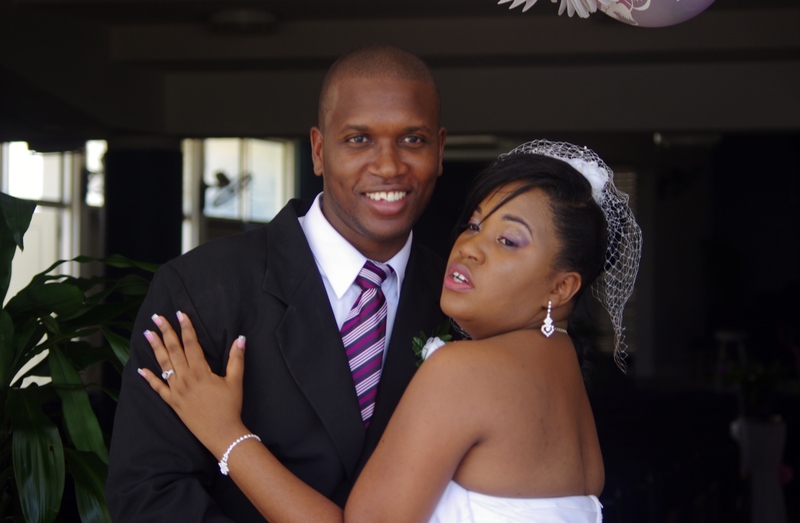 Saturday was the wedding day for Kevin Groves and Sandrene Hyman at the Portmore Missionary Church in Bridgeport, Jamaica. You could not help but feel the positive vibe between them as Kevin met his wife-to-be half way down the aisle of the church. 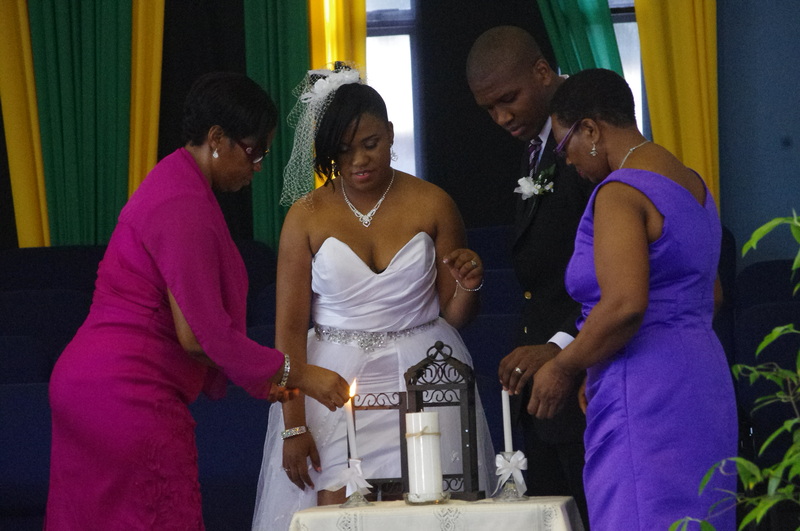 In sporting terms Maxine was passing the Sandrene baton on to Kevin and we all knew the bride will remain in safe hands. This was my first ever attendance at a Christian wedding. I have attended many a Hindu and Islamic wedding in the UK but such events have on average 500/1000+ guests and more importantly lots of food! Sandrene and Kevin’s wedding had approximately 40 of their close friends and families. Those individuals that have been there for them during the good and challenging times in their short lives. The whole church event was just serene, warm and loving. Just a “Sandrene wedding” some might say; meaning full of fun, spirit, energy, free and unpredictable. 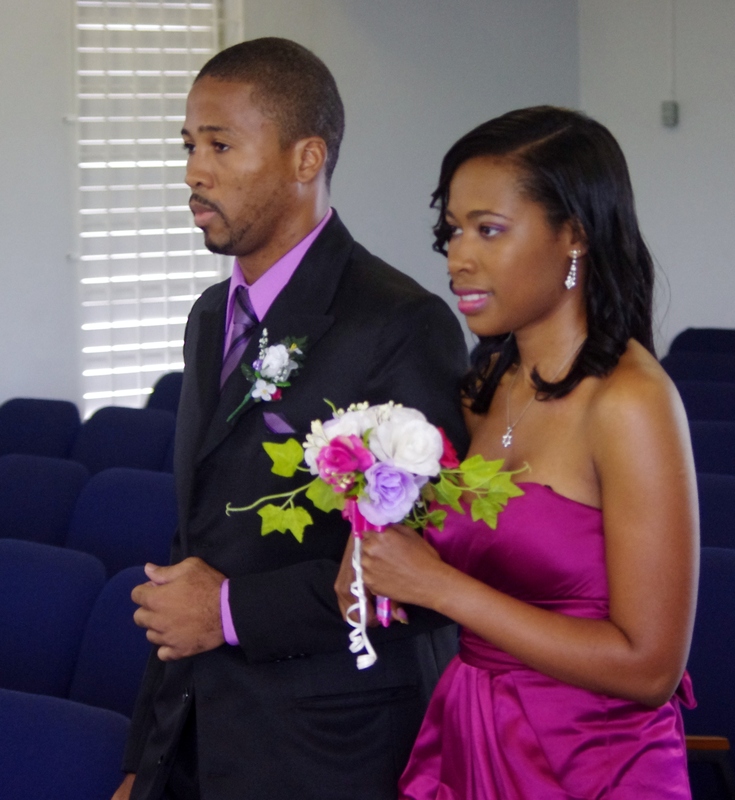 Sandrene didn’t just walk up the aisle she glided gracefully. More amazing was the fact that there was no rehearsal before the big day. As the wedding proceeded through its regulated stages you could see from the 30 metres I was standing how much in love and entwined both Kevin and Sandrene were. The love in their smiles, eyes and hands were there in abundance. I enjoyed the style of compering by the master of ceremonies. He allowed the events to flow in calm and friendly atmosphere. He was funny, assuring, supporting and very understanding in his commanding of the morning’s events. 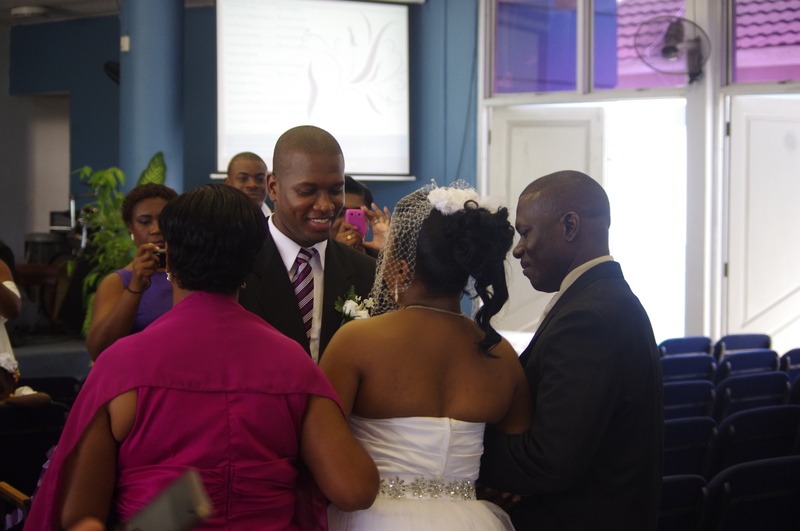 The wedding was supported by a mixture of songs, dance, and poetry by friends and family of Kevin and Sandrene. 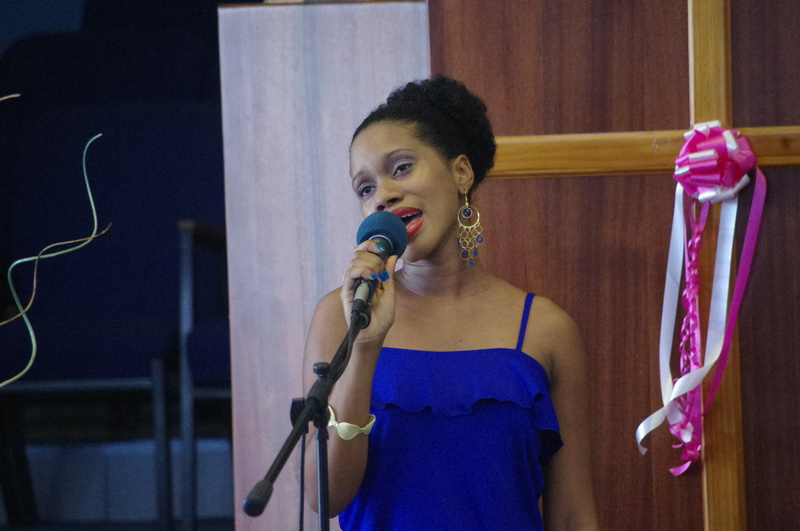 I loved cover version of that Etta James classic “At Last” which was sung by Kevin’s sister Trudy-Ann. That song came along near the end of proceedings and was perfectly pitched. Believe me there are times when feel we know what romantic love is about But as I looked at the spiritual connection between Sandrene and Kevin you knew this is it. The guests and supporting team all looked immaculate in their attire. The organisers must be commended for the smooth running of the big day. I can imagine both Maxine (Sandrene’s mum) and Mrs Groves et al had some sleepless nights and manic days in the lead up to Saturday. The wedding ceremony events went smoothly without a single glitch. It was truly an honour to have witnessed this momentous occasion on Saturday. There was no better place to be in the entire world – Olympics or no London 2012! 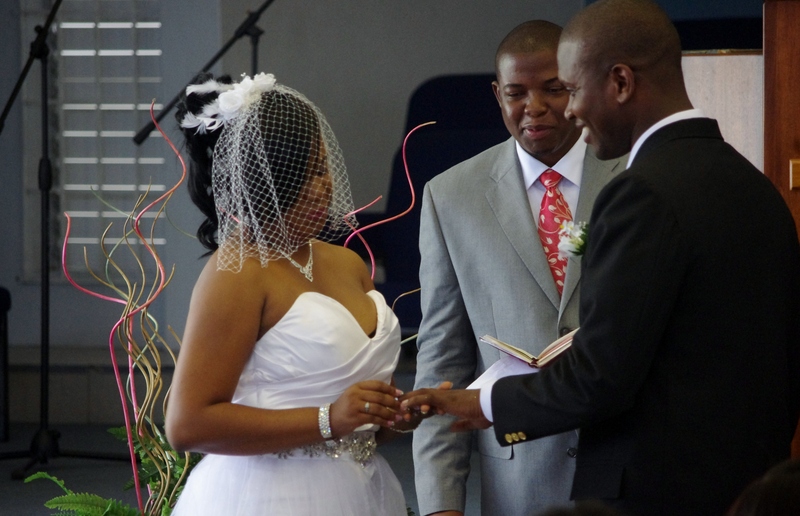 As mentioned earlier this was my first ever visit to a traditional Christian wedding. I could not have asked for a more perfect couple to give me this real and fabulous insight. But where’s mi cake! ?.